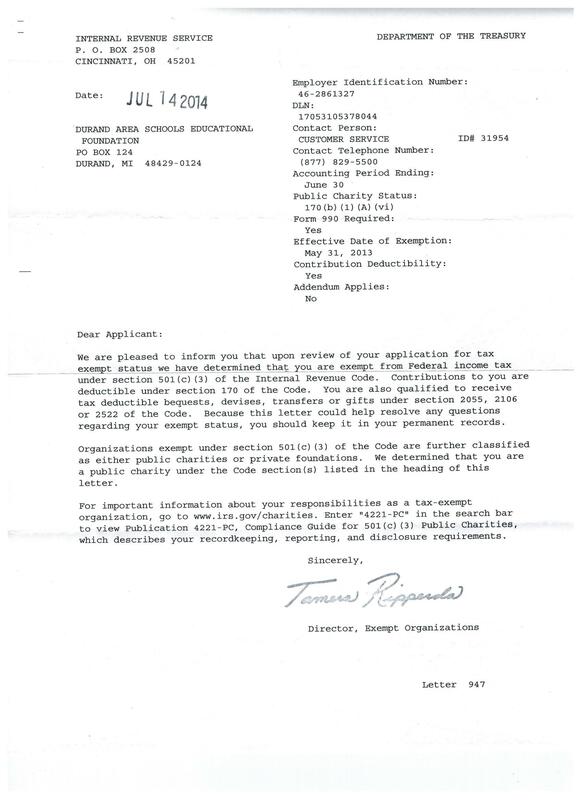 The Foundation was formed in 2013 and attained status as a 501(c)(3) charitable organization in 2014. The Foundation operates independent of the school district and offers mini grants to staff and volunteers who desire funding for unique educational experiences for Durand students. The mission of the foundation is to partner with the community to enhance educational opportunities for Durand Area School students.